Turns out there’s a very easy way to move a website to a new host, or to clone a website to a subdirectory for the purpose of testing plugins or themes. It involves the use of a plugin called WP-Clone by WP Academy. It grabs all your files, your database – everything. No FTP or Cpanel backups required. 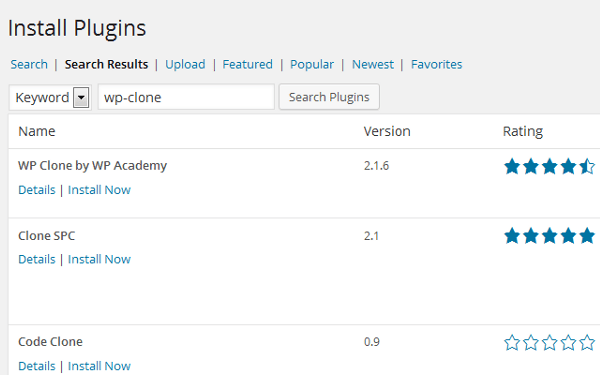 Click “Plugins” in the sidebar, and then “Add New.” In the search box, type “WP-clone” and it’s the first plugin to come up. Confirm by clicking “Okay” in the popup. Look toward the bottom of your sidebar for “WP Clone”. Click it. Click “Okay” in the popup window to confirm. On the next screen click “Copy URL”. Troubleshooting: on one of my sites, the backup fire was generated instantly, but it was empty. This was because there wasn’t enough disk space in my account to hold it. I had a reseller account, so it was easy to give that account more disk space. If you don’t have any control over it, try to empty any files you won’t need on the new host – check your tmp folder, your email folders, etc. This is how my screen looked when I made the empty backup – notice the PHP “Warning” at the top, above “Backup Successful” (which it wasn’t). Go to your new host (or your control panel, if you’re installing the cloned site in a subfolder for testing). 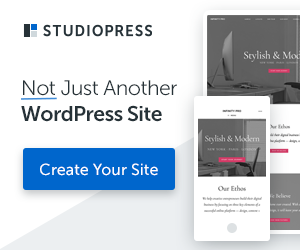 Install WordPress fresh from Cpanel or the auto-installer at your host, or if that’s unavailable just download WordPress from WordPress.org and do the 5 minute installation process. 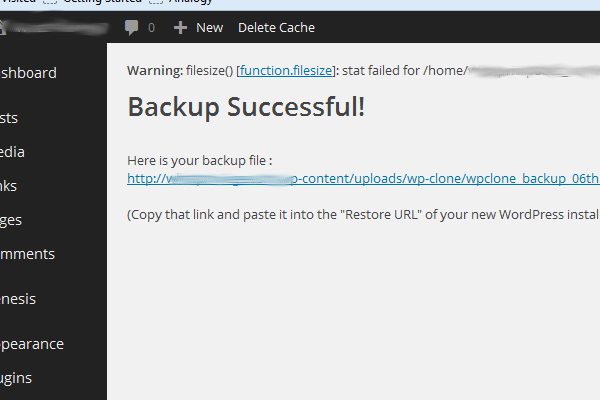 Install WP-Clone on your new installation (see Step 1). Click WP-Clone in the sidebar. 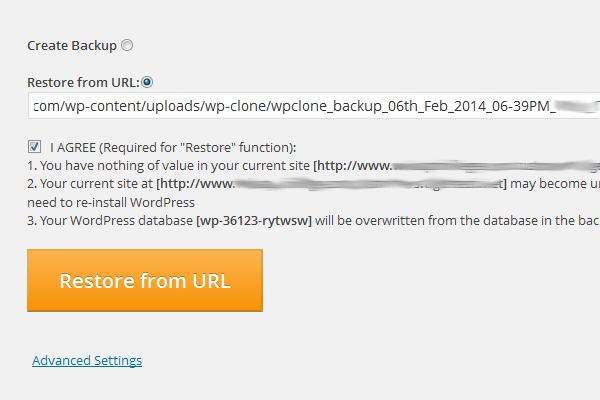 Paste the URL from your old site’s WP-Clone page into the field below that. Click “I Agree” that you’re not about to overwrite anything on the new host (or subdirectory). Which should be the case. 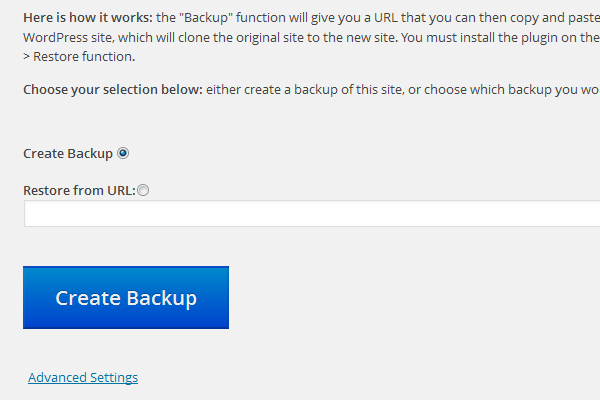 Click the big yellow button that says “Restore from URL”. Wait patiently – if you have a big database or lots of files, this can take a few minutes. That’s it! I’ve never had an easier time switching hosts with WordPress.